A 17th century palace, which houses a numismatic and folklore museum, was reopened here today for the public after remaining closed for four years for renovation. The architectural marvel, the Koyikkal Palace, located in Nedumangadu about 18 km from here, has been a tourist attraction of south Kerala since the state Archaeology department took over its upkeep in 1980. With sloping gabled roofs and spacious rooms laid out around an open central courtyard, the two-storey structure was built for regent queen Umayamma Rani of the Venad royal family in 17th century. State Minister for Archaeology and Archives, Kadannappally Ramachandran, who opened the renovated palace and museum, said the state government had given administrative sanction for Rs. 66 lakh for the second phase of renovation of the palace. “Heritage museums are the symbols of the bygone era and the young generation should show interest in learning about the cultural heritage of the country,” he said. He also released a brochure on the palace museum by handing over its first copy to Chettachal Sahadevan, Chairman, Nedumangad Municipal Corporation. C Divakaran, the lawmaker, who presided over the function, said the palace needed a proper security system as the museum has rare ancient coins and priceless folklore objects. He also suggested setting up of a research centre at the palace to enable scholars the world over to come and study the heritage of the region. The heritage museum has been functioning at the palace since 1992. Its gallery houses rare coins used in various civilizations, including ancient Rome, throwing light into the maritime and mercantile ties of the region with the outside world. The museum is also a treasure house of folklore fripperies, ancient domestic equipment, traditional and quaint music instruments, weapons and a wide range of other objects of antiquity. 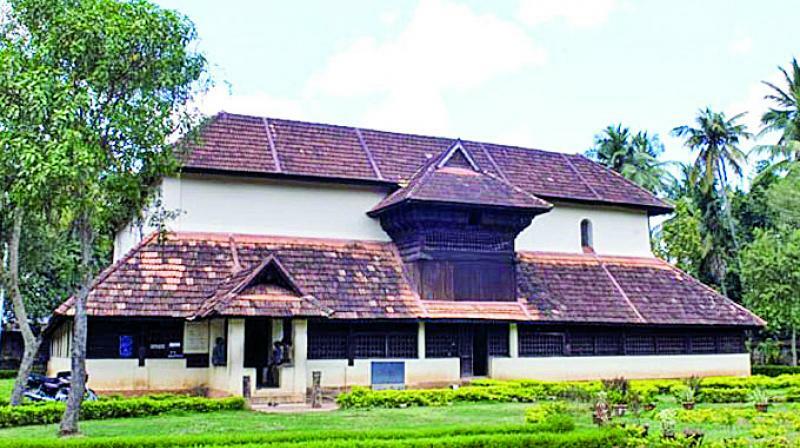 The renovation was conducted by Keralam-Museum of History and Heritage, the nodal agency of the state government for such works, official sources added.